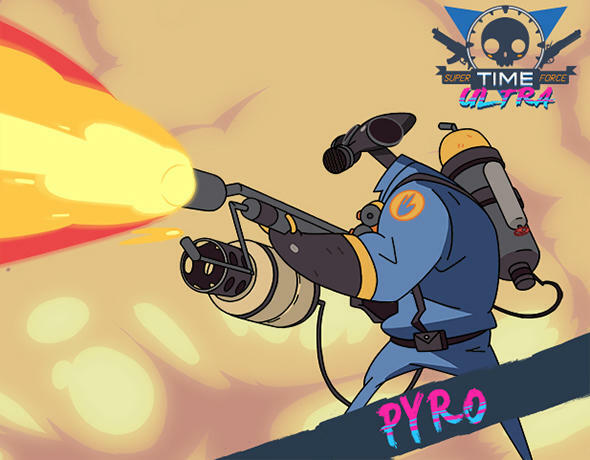 Super Time Force Ultra is available on Steam starting… wait a minute… look at that. It starts today. Super Time Force Ultra is out today, and it’s selling for $14.99. Last week, Capybara Games released the Steam trailer you see above. In that trailer, we saw three separate shaded characters running around and shooting stuff. We now have official confirmation regarding who they are. Of course, they’re Valve created in celebration of the Steam release. 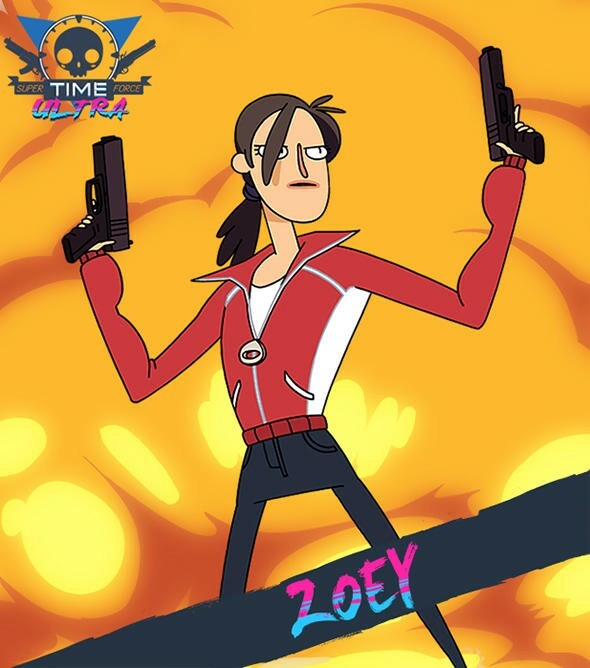 Here’s the rundown, complete with a gallery of these characters with Capy’s Super Time Force art. We have Zoey from Left 4 Dead 2 with Saxton and the Pyro from Team Fortress 2. What’s that? You want GIFs of their moves in action. Fine, dear Internet goer, GIFs you shall receive! Super Time Force Ultra will hit Steam today. It might even already be available as you’re reading this. If PC gaming isn’t your thing, you can also nab the non-Ultra version of Super Time Force on either the Xbox One or Xbox 360. Those don’t come with Saxton, Pyro or Zoey, though.